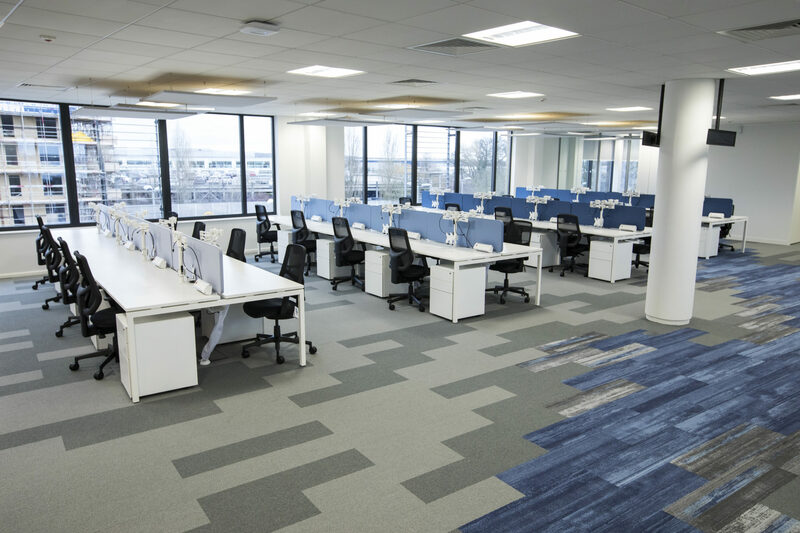 Affinity for Business approached Woodhouse having outgrown their existing premises. 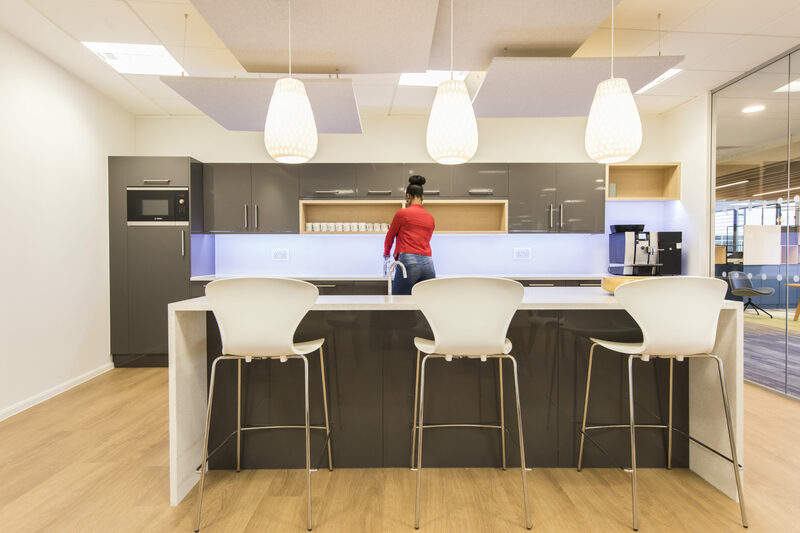 Their employees couldn’t work flexibly, and they were hindered by the lack of breakout zones. 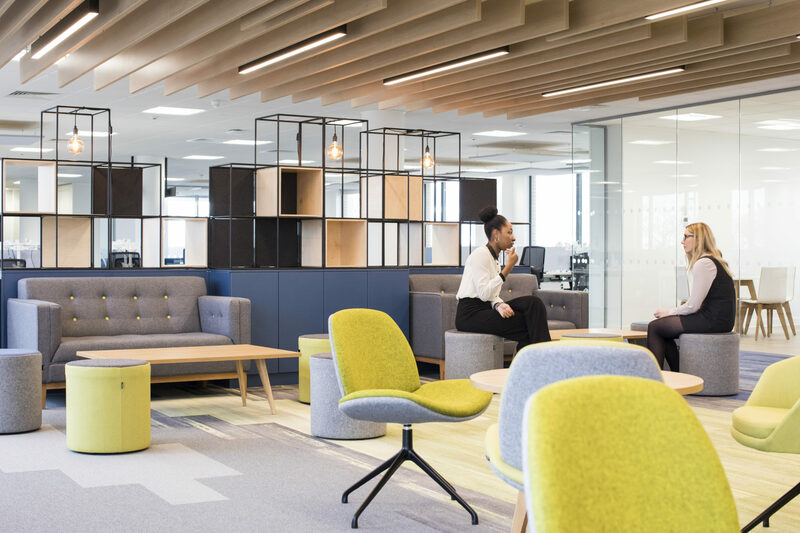 The firm wanted to move to an office that facilitated growth, provided additional workspace for their current employees and room for expansion in the future. 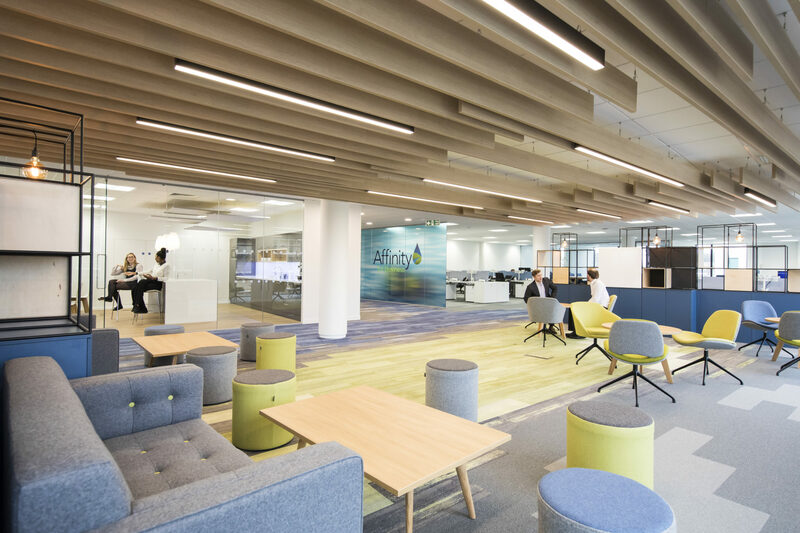 The new space would be the hub of the brand which would connect the Affinity story with its employees and visitors. 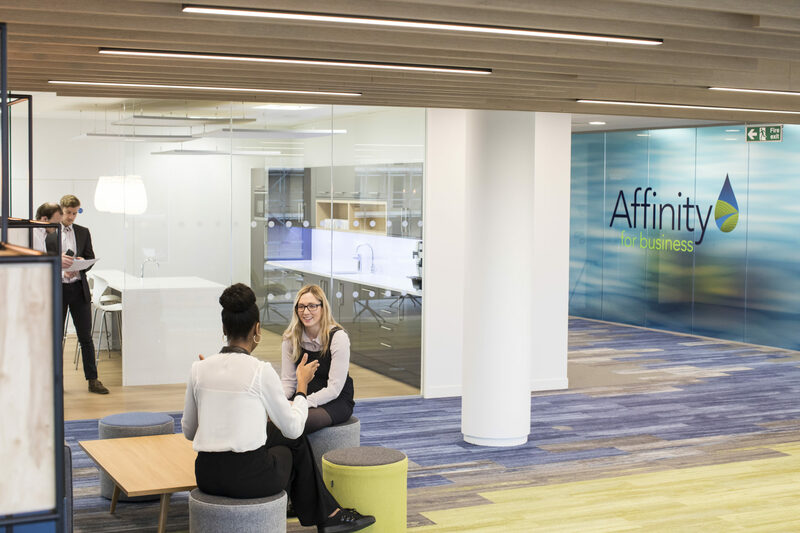 Affinity moved into a multi-story building in Welwyn Garden City, with other occupiers already present. 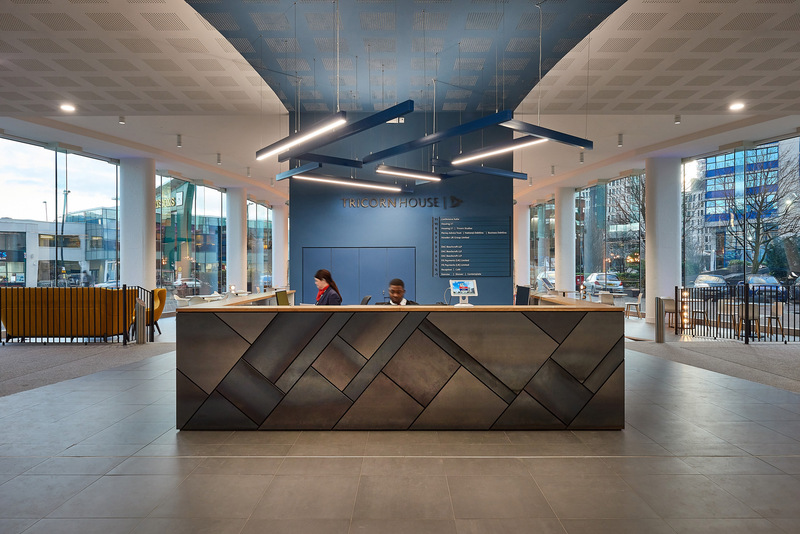 The landlord had key requirements that needed to be addressed which Woodhouse achieved to ensure lease sign-off for Affinity. 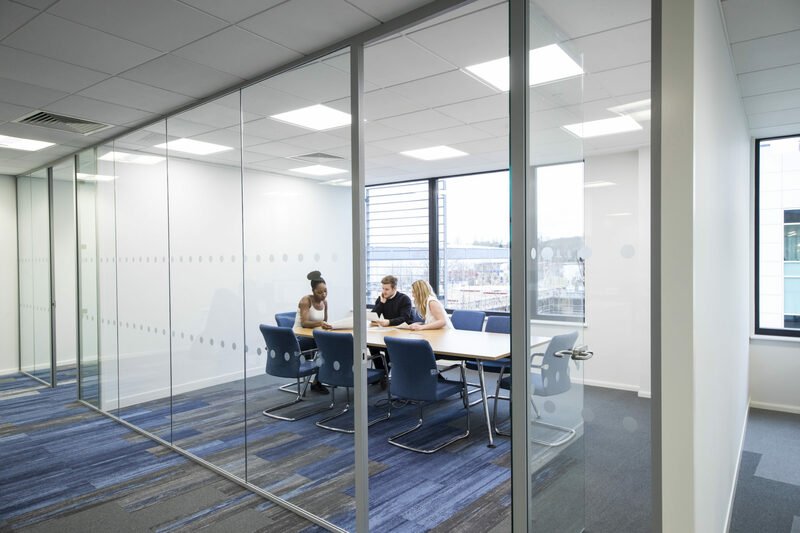 Consideration was given so that the existing occupiers had minimal disruption. 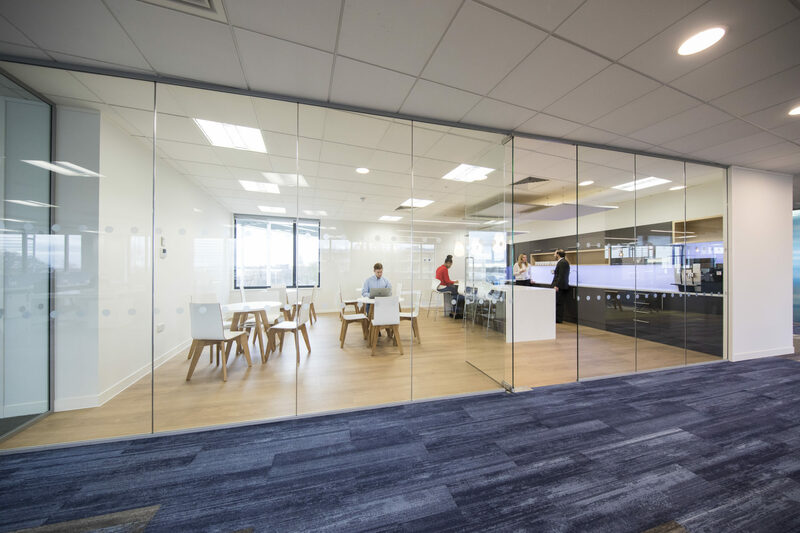 A tight timescale was adhered to, supporting a seamless transfer from conception to post-project. 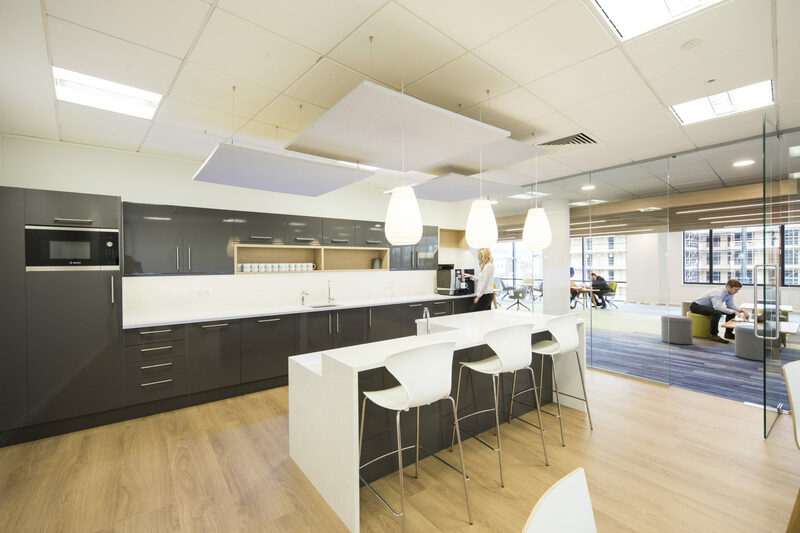 Woodhouse design team produced a sea of creativity, whilst meeting functional requirements. 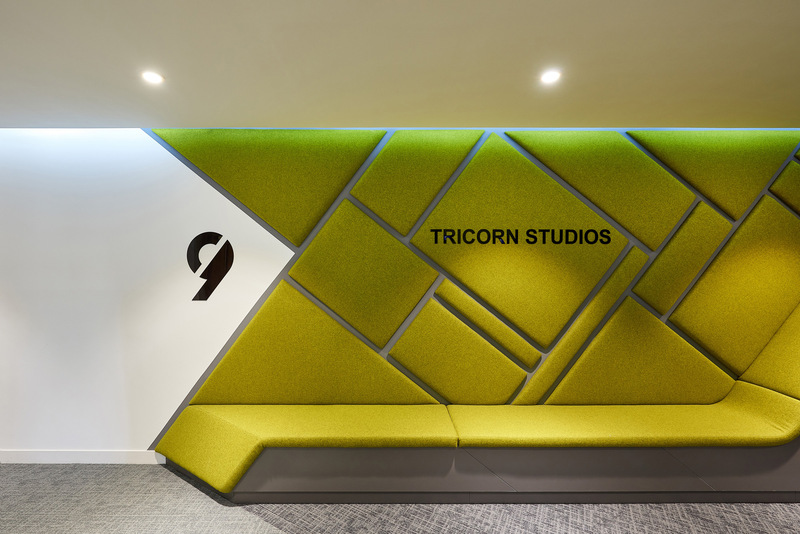 As soon as you enter the offices you are met with a feature wall representing the brand. 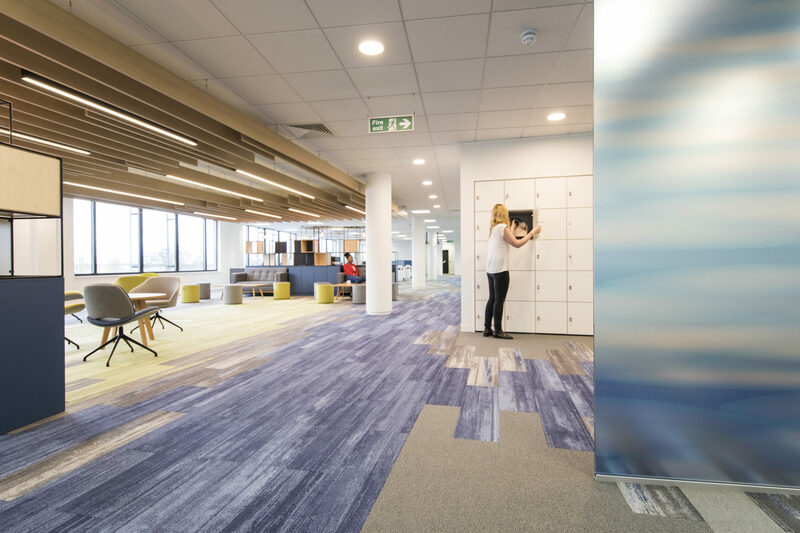 This was deliberately created to start the flow and connection throughout the entire office. 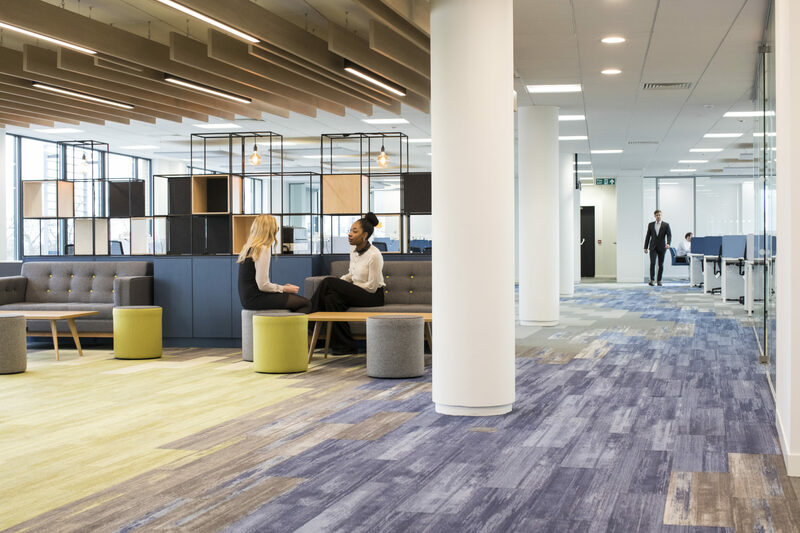 The carpet signifies the journey, featuring subtle green elements in the collaboration spaces, and the design connecting one meeting room to another. 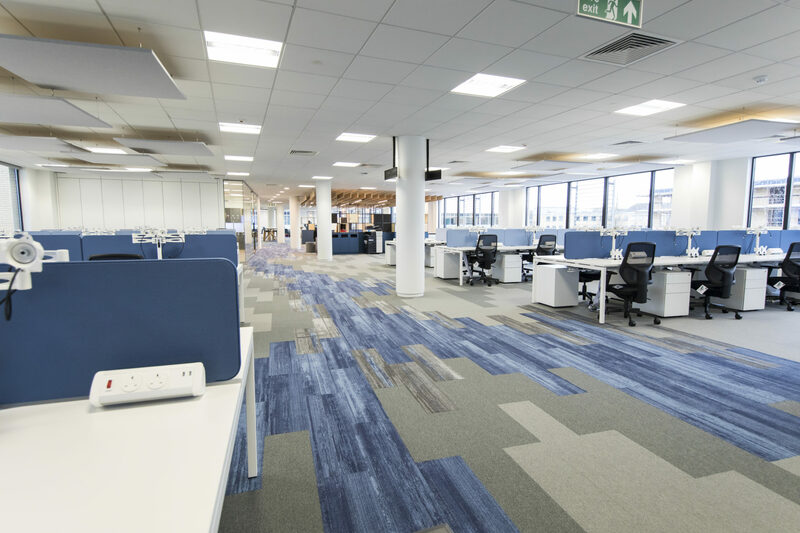 The colour blue was used in the work areas to enable focus without distraction, as well as statement lighting, and the use of warmer tones in various areas for a more stimulating yet friendly feel. 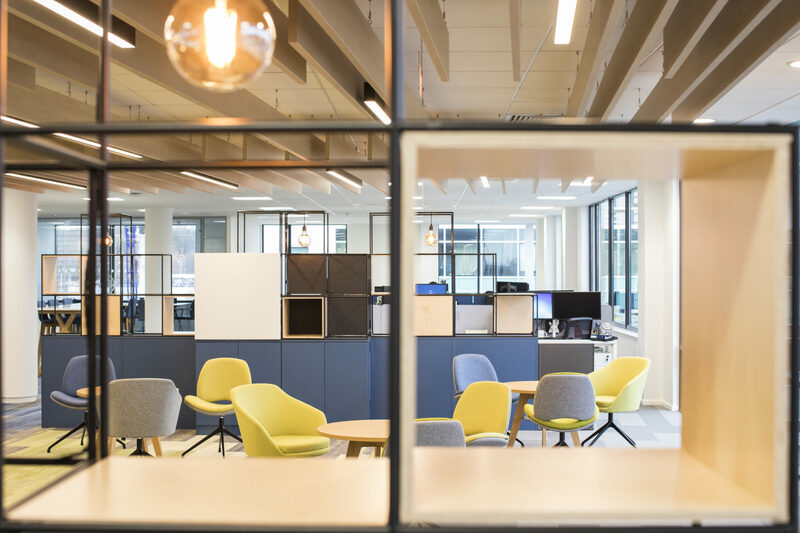 The finished space presented new breakout areas for the team to enjoy, as well as a teapoint, and could easily facilitate the 50+ employees with room for expansion. 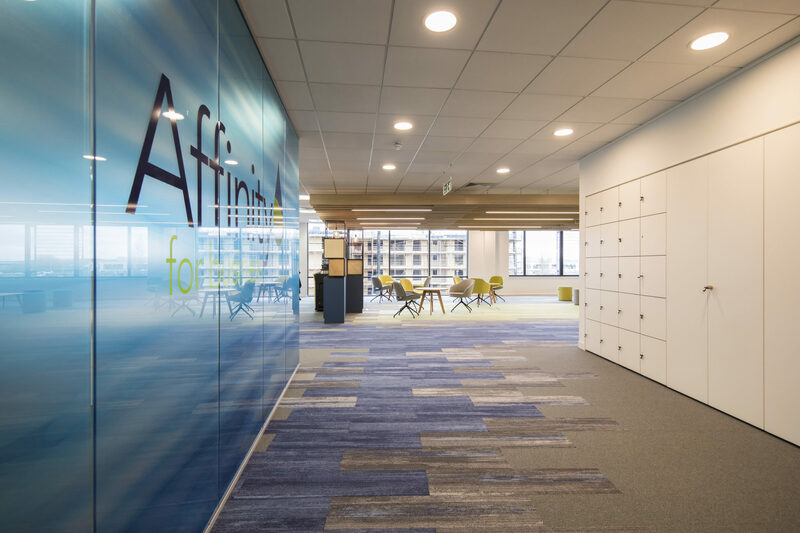 The 8,000+ sq ft establishment was developed in six weeks, and gave Affinity the desired look which was open, light, airy and on-brand. 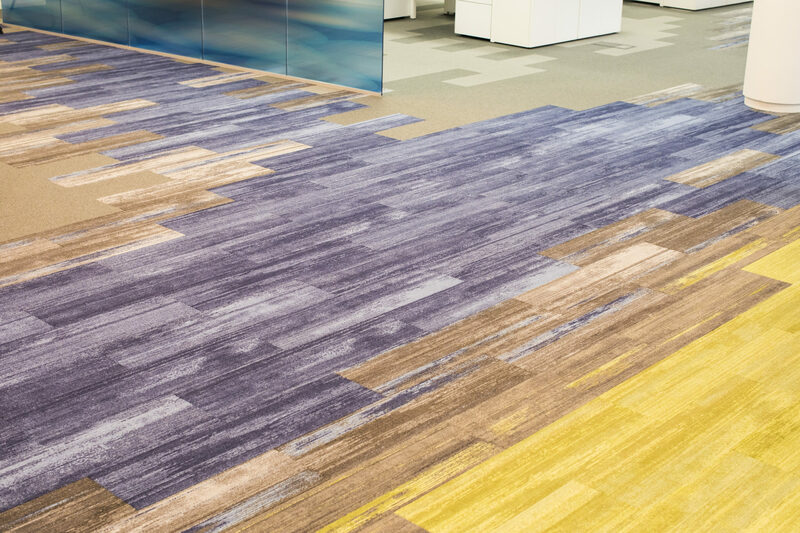 They had ample room for expanding opportunities, a statement carpet journey, and sophisticated lighting where appropriate to grab your attention. 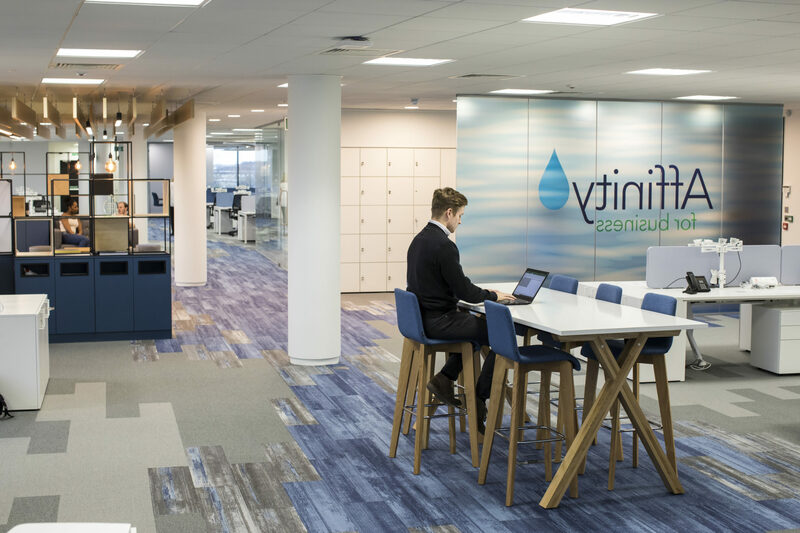 See what Affinity for Business have to say here. This is a proud moment for Affinity for Business. We now work in an office that we can really call our own. 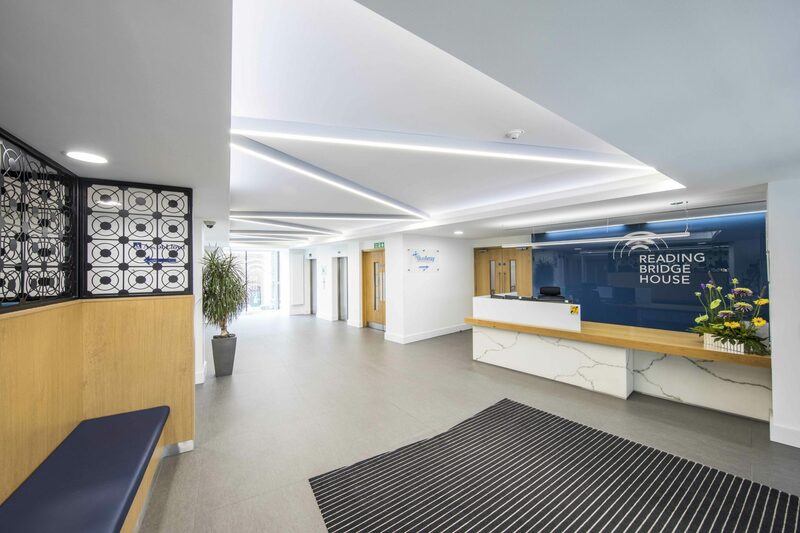 Not only will the new office accommodate our expanding team, but it will also allow our company culture to well and truly blossom.